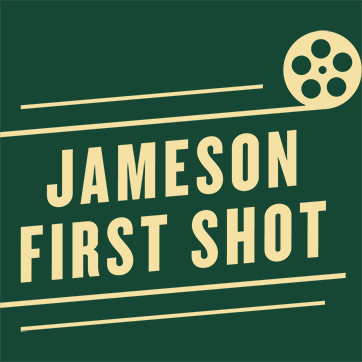 After reviewing all the entries this year, Jameson and Trigger Street are able to reveal the 20 talented writer/directors who have made it onto this year’s shortlist in the Jameson First Shot competition. From South Africa, Joshua Rous, Corné Koegelenberg, Etienne Naude, Anthony Ehlers, Johnny Cohen and Nicolaas Jacobs; from Russia, Yulia Migova, Ekaterina Telegina, Dima Yuzbashev, Alexander Larionov, Ivan Petukhov, Vera Kokareva and Anna Kravchenko; and from the US, Tara K Clark, Duncan Coe, Matt Dallmann, Jessica Valentine, Jason Shomer, David Pisani and Lawrence Krauser all made it through to the crucial second stage. We’d like to extend a huge thank you to those of you who entered the competition this year.